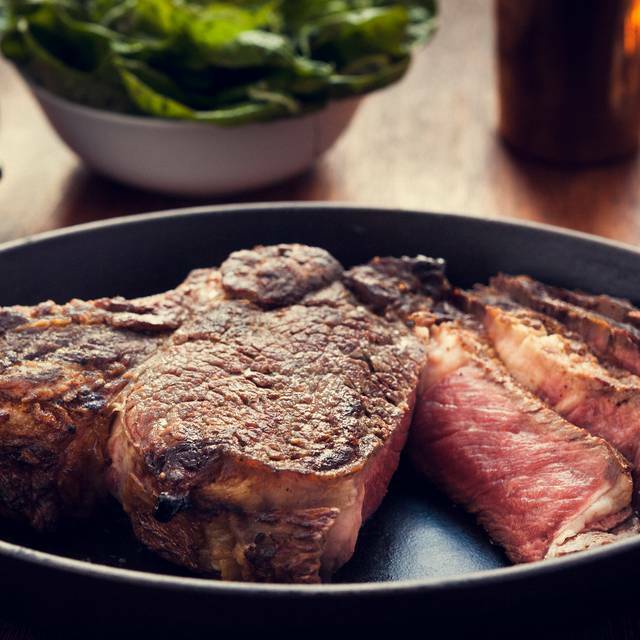 Named after Nicholas Hawksmoor's Christchurch Spitalfields, just down the road, Hawksmoor Spitalfields opened in 2006 to rave reviews, reigniting London's love affair with steak. 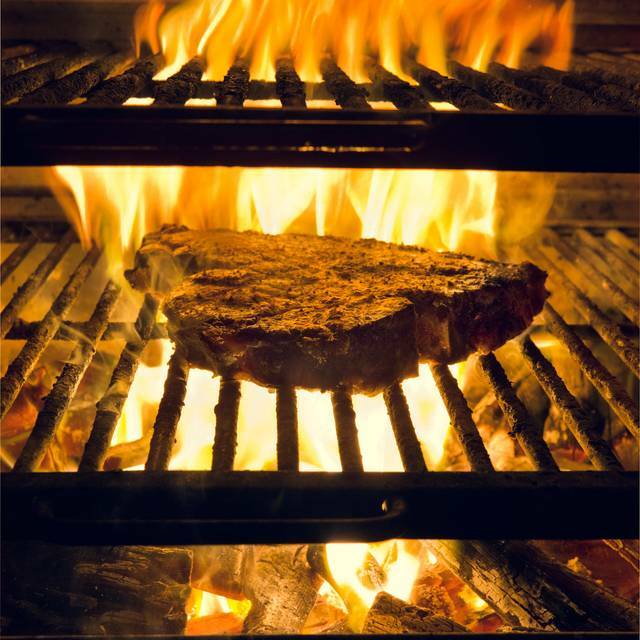 Hawksmoor Spitalfields is an unpretentious, quality obsessed steak house, serving only the best British steaks, simply cooked over a real charcoal grill. The 115 cover restaurant also has an extensive wine list featuring favourite small producers and big vineyards alike. 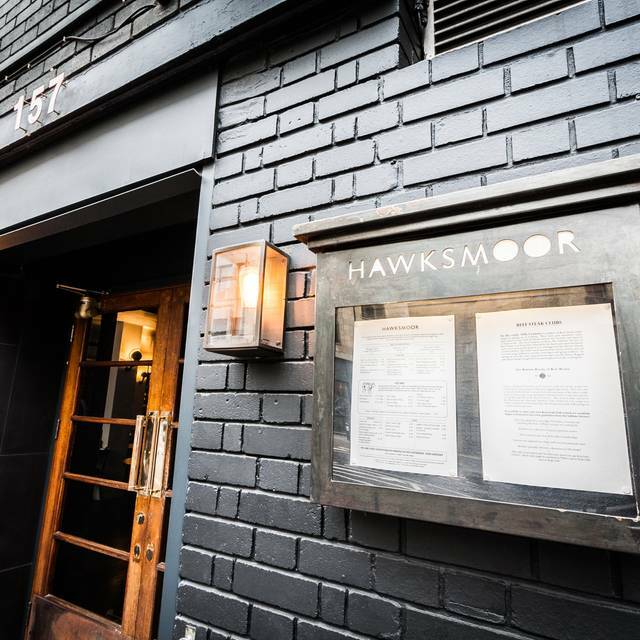 Hawksmoor is an award winning group of British steak restaurants and critically-acclaimed cocktail bars in London, Manchester, Edinburgh and Hawksmoor New York will open in 2019. 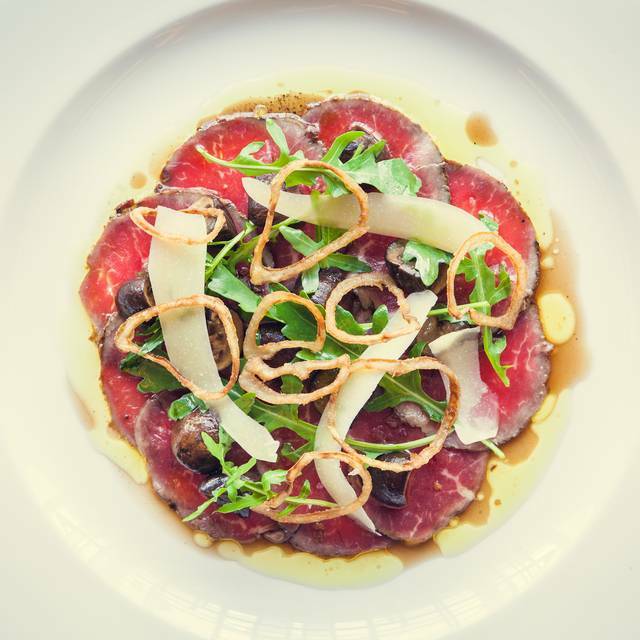 At Hawksmoor, the menus revolve around ethically-reared British grass-fed native breed beef. Hawksmoor Spitalfields was one of the first steakhouses in town, and it’s still one of the best. 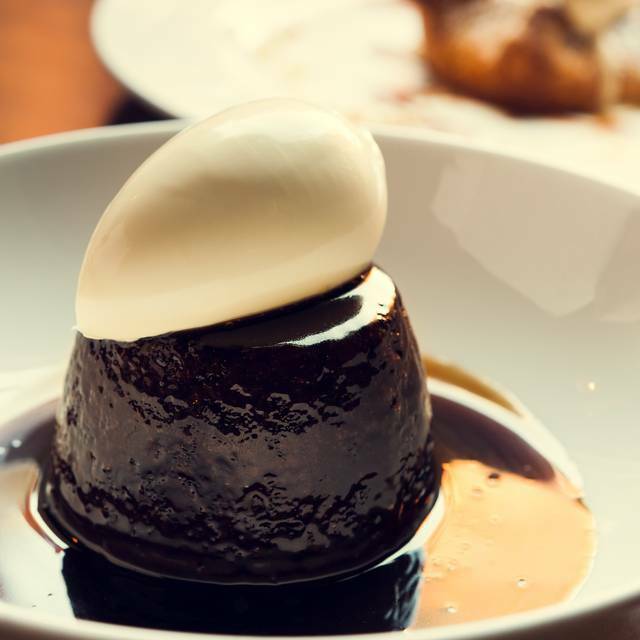 Finishing with toffee pudding is mandatory. Excellent service but let down by the cooking of the steaks. We both asked for medium rare - one came out medium and the other was rare, not what you'd expect for the price you pay. Just really kind of... bland. Great meal at Hawksmoor - top notch food and service. I've eaten at the Hawksmoor many a time, but I just felt as though this experience was really really average. Considering the bill for 2 people was over £160.00 - the steak was overcooked (even the table next to us sent both theirs back!) and definitely not enough quantity for 2 people, despite asking for help/guidance from the serving staff. Very disappointing this time. It's only because the wine was good that I've given above 2 stars! We had an amazing time at Hawksmoor and the food was perfect. They even piped ‘Happy Anniversary’ on our dessert. We did really like it. The only small question about price (sounds slightly high), but we knew what we will have,. 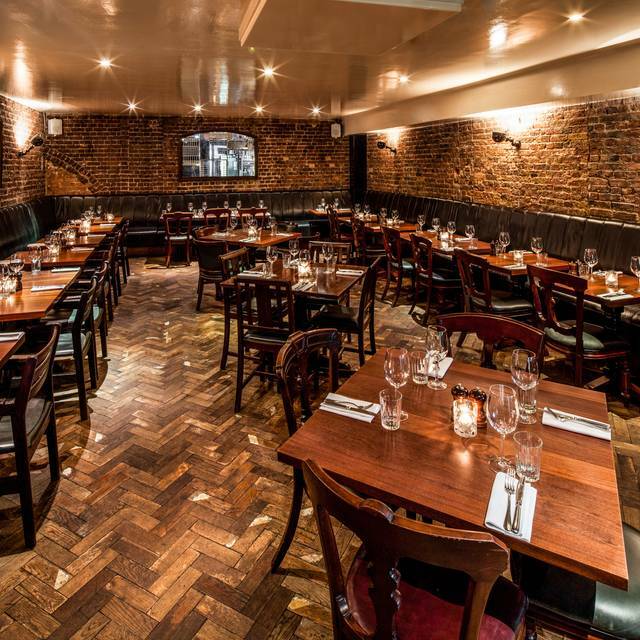 Hawksmoor in Spitalfields serves up the best steaks you can get your laughing gear around. I lived and worked in London for 20 years and I love visiting my old haunts and old friends there. 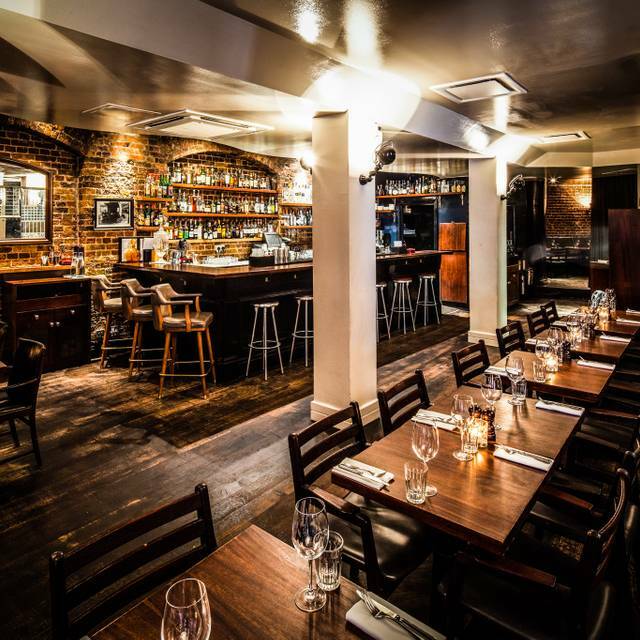 Now I live in Norwich so I take the train to Liverpool Street Station and all I have is a short, vibrant walk to get to this buzzing restaurant that combines traditional and contemporary so well. The staff are friendly, welcoming and highly competent! The food was amazing as always. Our server was just Ok, not what I would describe as attentive we had to work quite hard to get his attention every time we needed something. Waiter was indifferent, verging on rude, and did not make myself or my partner feel welcome. Starter, ribs, were good but half of the fat was not as soft as you'd expect from slow cooked ribs. The steak, med-well was a big disappointment, it was bland and the peppercorn sauce could only do so much to rescue it. Desert was brilliant but just highlighted how bad the rest of the meal was in comparison. It was only on the way out that one of the serving staff actually found a smile. 2nd bad meal here. Avoid in future. The menu is pricey but so worth it. Best steaks we’ve ever had and the dessert was amazing as well! Great food as always, excellent service. Lovely evening. Just one of the best restaurants ever! Phenomenal food and service to match! Love love love!!! Outstanding Sunday lunch. Go for the extra bone marrow. Staff were friendly, polite and welcoming. Food was fantastic and no request was too much for them. Highly recommend heading to the bar in the basement for an after dinner drink. Great atmosphere, fantastic drinks and service was wonderful. Perfect spot for dinner and drinks. This is the first time that I've dined in a London branch - the food is top notch as ever and the service exemplary. Had the Sunday Lunch - extremely good. Everything was excellent, only negative was that the front door was quite draughty into the restaurant. I'd suggest installing a heavy curtain. Great food and service as always - we were sat right by the bar and it was just a little bit too noisy. Otherwise, excellent all round. Good steak but terrible service. Half the starters were unavailable. Good food, cafe service at best. Nice and busy, even late on. Excellent food, all slightly over-priced and with an air of constant up-selling. No sides included with steaks, cheapest Malbec £46 and of course the usual 12.5% service charge. Thought the surroundings could have been a bit more up-market, when spending £90 per head. Very good and friendly staff! Hawksmoor produces excellent food but although the staff were outstanding - it was fairly cramped and appeared rushed. Great food and really nice place, definitely recommend! Unnecessary confusion over drink names...felt like I was called a ‘noddy pratt’ a few too many times! Otherwise food was great (we had steaks)...and they made a fuss over the birthday girl, which was unexpected and delightful! Good humoured and ‘human’ staff, although I was left feeling like I needed to go read-up on the ‘proper’ names for drinks (a ‘tad’ pretentious especially as it was our first time). 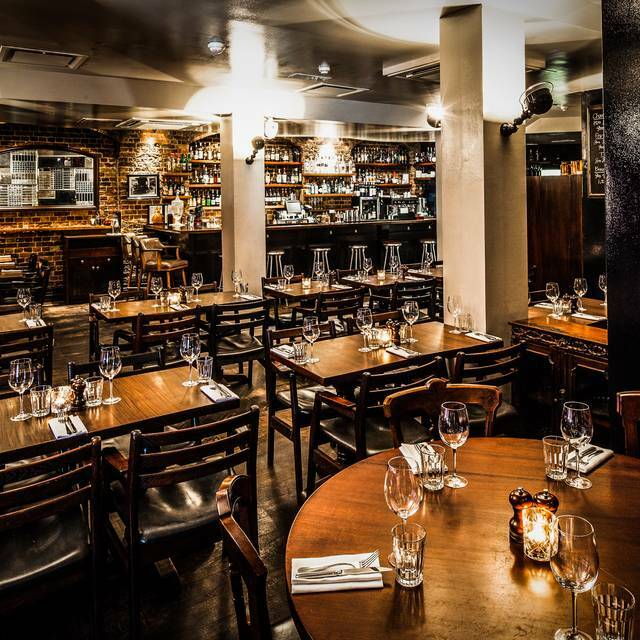 Overall, I would recommend heartily and would go again - yummy food and warm, cosy atmosphere. Waitress took a drink off the menu as good will, which was thoughtful and appreciated. It was my first time going here and I was not disappointed! Amazing evening and the food was out of this world. This restaurant has a wonderful, chilled-out but upmarket vibe. You really feel like you’re ‘fine dining’, especially with the low lighting come evening time and candlelit tables. I adored the food. Bone marrow starter was delectable and flavoursome. My lamb main and my husband’s steak main was delicious and cooked to perfection. We even got free salted caramel rolos at the end! (I think our waiter was charmed by our love of food!) Great place! The food was excellent. Not just the steaks, the scallops and lobsters were perfect. The staff were excellent too. Very friendly and knowledgeable about the food and wine. Thank you Hawksmoor! Fantastic ribeye steak (many steak options on the menu), extensive accompanying wine list - the kale and garlic side is also recommended. Helpful staff. Good for a special occasion, prices higher than other steak restaurants but high quality. This was our first time at the Hawksmoor in Spitalfields - incredible experience, incredible food and the service was second to none. Will be back as soon as possible. Thank you for a perfect date night. The steak did not taste fresh, as though it was quickly thawed out and cooked with minimal attention. It was very overpriced for the equivalent quality of meat. Ambiance of restaurant just dragged you down, it was murky, unenthusiastic and slightly constraining. Had to walk outside for a breath of fresh air to feel as though my partner and I weren’t another bill calculation or mechanical cog. Nothing stood out as repulsive or made me ill so this may sound overly harsh but I hope my honestly negative impression of the establishment can inform others on what to expect. Superb red wine and great chat from the sommelier and, as always, the best steak in London. They really never set a foot wrong.